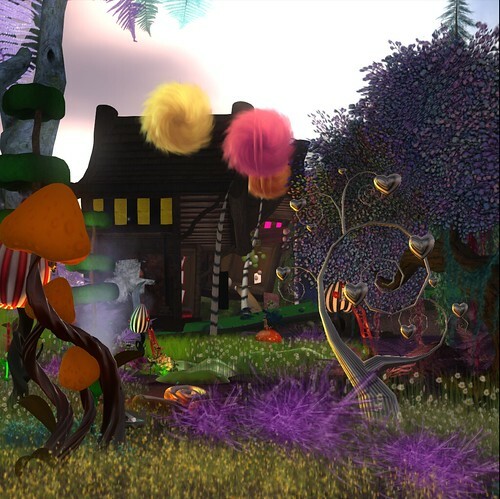 In spite of the lag, in spite of asset servers, in spite the most unstable grid for a long time, Fantasy Faire 2013 raised a staggering 2 million Linden dollars in its first 25 hours. That’s about 8000 US dollars. As we enter the skies shift and pink clouds roll rapidly across the deep blue sky, we are greeted by candy floss trees and chocolate lakes. 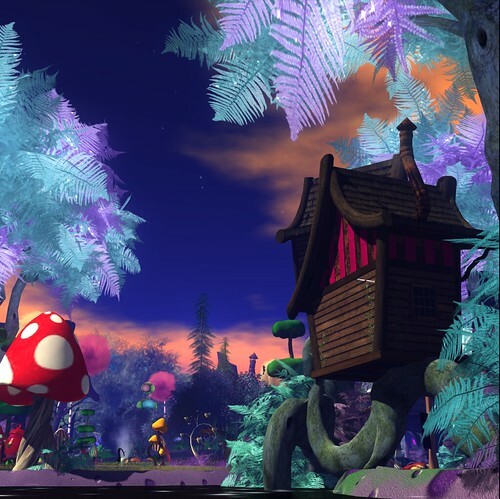 The path winds precariously through the brightly coloured landscape and the giggles of Tinies can be heard all around. It is said that the Sheriffs in the ‘shard are the meanest of the bunch and not to be trifled with so we take care not to stray too far from the beaten track as we peruse the stores. F*cking Ninjas, Epic , United InshCon, FuubutsuDou! 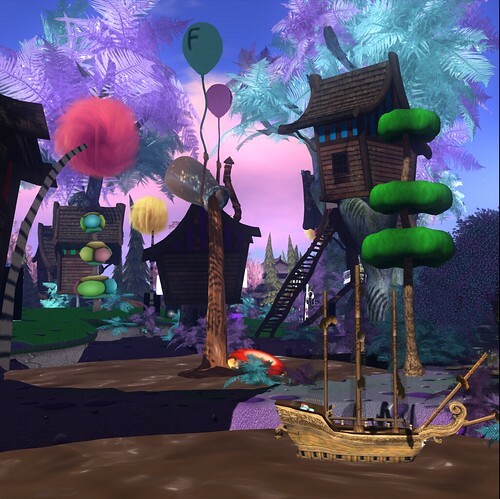 kisetsu , Bentham Manor, Fae Fantasy Creations, Simply Fae all of whom are featured vendors alongside Mayah Parc own Epic Toy Factory store.